This week marks the 12th anniversary of Hurricane Katrina. Amazingly, it has been 12 years. Sadly, Hurricane Harvey has had a similar devastating impact on Houston that Katrina had on New Orleans. Our thoughts and prayers are with Texans. We are inspired by their resilience and community spirit as they rescue and support each other through this natural disaster. As many have said, we’re experiencing the worst of Mother Nature and the best of human nature. Post Katrina, the way in which we experience and process natural disasters is very different. Today, there’s social media and smart phones. We’re now all connected. Many have been rescued due to the power of social media. And we continue to learn valuable lessons from Katrina and other hurricanes that improve the way we handle natural disasters. Sylvester Turner, the mayor of Houston, made the astute decision not to order a mandatory evacuation of Houston and risk having over 2 million people on the road when Hurricane Harvey hit. Given the flash flooding that has occurred, the decision not to evacuate was a smart one. So why are Houstonians being called “evacuees,” while the people of New Orleans were called “refugees? *” Hmm. The answer to that question matters. The way in which a community is perceived has implications beyond the singular words. It can impact the way the community perceives itself as well as how others view it. More importantly, the perception of a community can impact the level of resources which are made available to it. Yes… social, political and economic empowerment are intertwined. OneUnited Bank, the largest Black owned bank in the country and first Black internet bank, made the strategic and conscious decision to focus on the positive experiences in the Black community on our website and through social media. The reality is that the Black community has more accomplishments than presented through mainstream media. By sharing more positive experiences, OneUnited provides a more realistic – and improved – perception of the Black Community. We also give our community the respect we deserve. In addition, OneUnited made the decision to create products and services to give community members who have experienced challenges a second chance. We offer a second chance checking account, to give people with a ChexSystems record an opportunity to open a checking account. We also offer a secured credit card to help rebuild credit. We know that challenges – like natural disasters – may not be avoidable. Yet challenges should not result in a loss of dignity. By working together, we can lift each other up as we see happening in Texas! We hope you agree… and join the #BankBlack Movement today. Evacuee: A person evacuated from a place of danger to somewhere safe. What are you doing to help the people of Houston? How can we help? Proud to be AN ACCOUNT HOLDER at the ONEUnited Bank! As a Katrina survivor, I sincerely appreciate your emphasis on positivity and learning important life lessons as keys to moving forward. However, being in the midst of a disaster - such as hurricane Harvey - drops one's priorities down (on Maslow's hierarchy of human motivation and needs) to the level of basic safety and security. Survivors need to know that they and their families are safe and secure from harm., that they can.keep themselves clean, eat healthy meals, and have some privacy to grieve, rest, and sleep. Most disaster survivors will need short or long-term help processing and recovering from the terror of these life-threatening and near-death experiences. They need their injuries treated and their dead buried. Once these basic needs are met, survivors can more clearly focus on recovering housing, transportation, and jobs to pay the bills. After success at this level, survivors then are able to learn from their difficult experiences and better plan for future events and living. It is an arduous, frightening road to positivity and learning that thousands endure from every disaster. Share with us how you, as an institution we are proud of, have and will contribute to these needs. May we all look to our power and strengths to contribute as individuals. I'm proud as well humble to be a One United account holder. It's been a dream of mine to do business with a Black-owned bank that's has solid leadership in 21st century. I want thank you for giving a chance to rebuild my life. I have a tiny business and cannot wait to hook up with you. We currently have an account with another bank.......but need a business savings?..... any such thing? It'd be wonderful if you all linked to podcasts, videos, or other social media posts, by credible sources of investigation and analysis (even better if they're affiliates/industry experts), that allow your readers to dive deeper into the observations and correlations you touch on in this post. A win/win for both you and your target audience, potentially::1. Allowing your constituents to become more educated on the subjects you present, equipping them to more effectively pass along the information to others (a more educated populace is good for everyone); 2. Strengthening the case for/between the #buybuildBankBLACK movement (I do my own thing, but you guys, do you); 3. Creating a closed-loop engagement experience for your online users (your marketing department associates can suss out the opportunities here).What you guys are doing here is great! OneUnited Bank - where are you located? I'd be interested in opening an account. Hi Ethel. We have branches located in Miami, Boston and California. You can also bank with us online at www.OneUnited.com. Will you be opening a branch in other cities like Houston, which is where I reside. 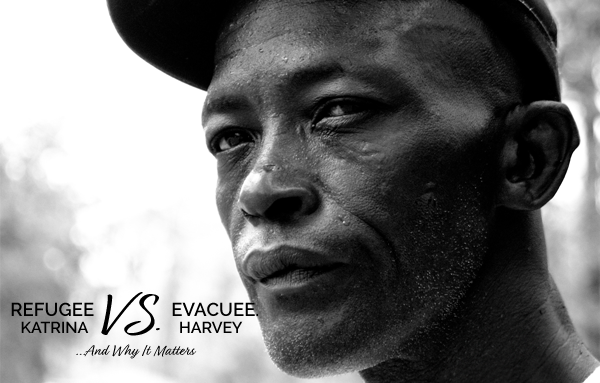 Thanks for the article as I always referred to Katrina survivors as evacuees and not refugees. Hi Darrell. We truly appreciate your passion and desire for a local branch in your area. Currently, as part of our Bank For the Future initiative, we are focused on building our internet branch and online products so we can offer our great products and services on a national scale.But we are noting all the interest for local branches we receive so we can make informed decisions when the time comes to extend our branch footprint as well. United we stand. And most definitely divided we (blacks) all fall. It's a pleasure to endure in such a unity to build a strong demeanor for one another. Thank u and im definitely gone open up me an account asap.